What were Socialist Spaces? The Eastern Bloc produced distinctive spaces, some of which were fashioned from ideological templates, such as the monumental parade grounds and Red Squares where communist leaders could receive tributes, or new factory cities with towering chimneys and glittering palaces of culture. But what of the grimy toilet in the communal apartment or the forlorn ruins left after the Second World War?This book explores the representation, meanings and uses of space in the socialist countries of Eastern Europe and the Soviet Union between 1947 and 1991. The essays - written from different disciplinary perspectives - investigate the extent to which actual spaces conformed to the dominant political order in the region. Should, for instance, the creation of private spaces, such as the Russian dacha and the Czech chata, be understood as acts of appropriation in which lives were fashioned against the collective or, alternatively, as 'gifts' given by the State in return for quiescence? Whilst monuments and public spaces were designed to relay official ideology, one of the most notable features of the events that marked the end of the Bloc was the way that they became sites of dissent. 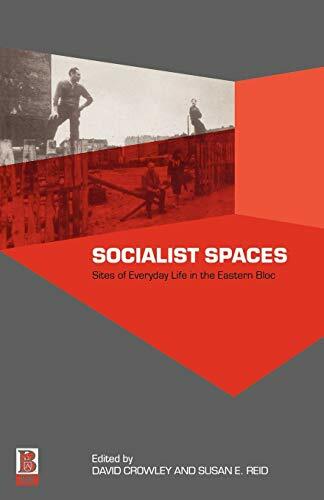 Examining the myriad ways in which space was used and conceived within socialist society, this book makes an essential contribution to Eastern European and Soviet Studies and provides significant new angles on the factors that underpinned socialism's eventual downfall. 10. 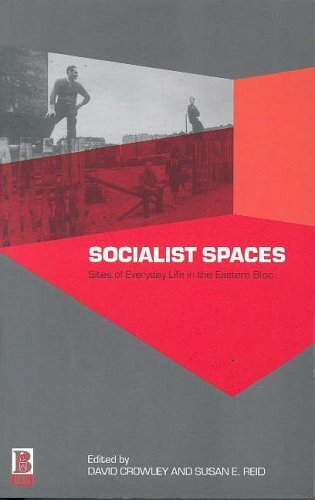 Socialist Spaces: Sites of Everyday Life in the Eastern Bloc Crowley, David and Reid, Susan E.